Last week, the Jam kicked off in around 100 cities worldwide! 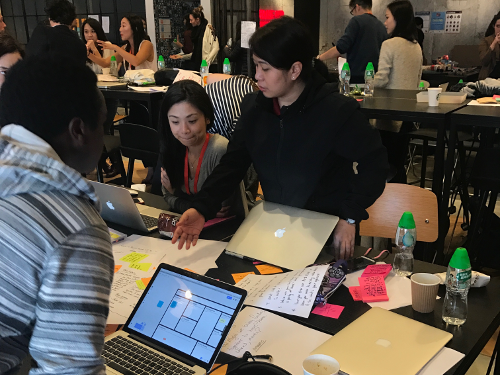 Thousands of Jammers all over the world cooperated with strangers, identifying needs, building interactive prototypes of brand new services and testing them. 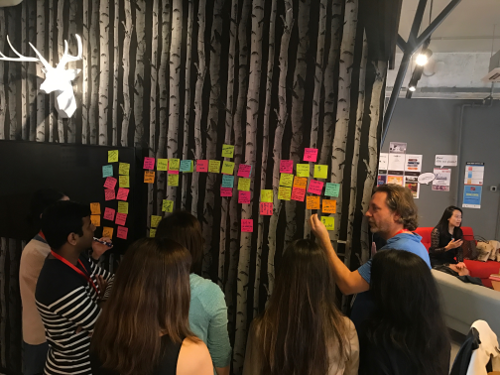 And as they did it, they were learning new tools, experiencing new ways to work, changing the world – and had a great time! 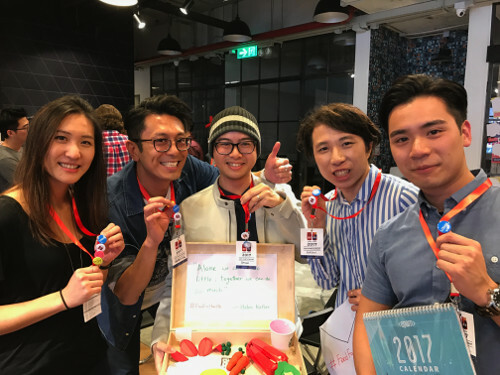 Check out how Marivi – Senior Scrum Master, Herbert – Agile Coach, and Samson – UX Designer at PALO IT Hong Kong, who participated in the HK Service Jam session, took up this challenge – and even won! 1/ Hi Guys, can you explain to us what did the HK Service Jam consist of? Herbert: The main goal of this event was promoting Service Design in an exciting way. It is the end-to-end design of a total experience, including both tangible and intangible elements, like communication, environment and behaviour. 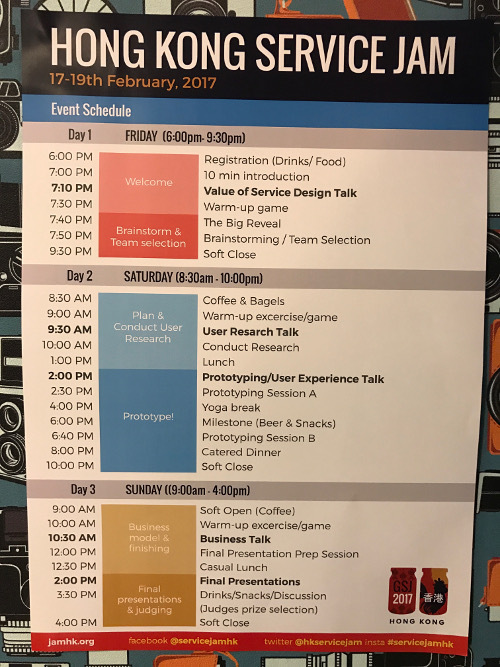 Marivi: A bunch of experts from various backgrounds participated in this event, including designers, developers, agile coaches and even lawyers, from agencies, consulting firms and editors. 2/ How did you feel when you discovered the Secret Theme? Samson: We were all surprised, because the theme was quite unusual! So we had to be creative enough to imagine what was the message behind it. And we had to think about a prototype in a very short term: indeed, we had only 10 minutes to draw something clear enough, so people can understand it without explaining it. 3/ Can you describe us all the steps of this hackathon? Marivi: Friday night, after having unveiled the Secret Theme, the Service Jam staff played some music and all the participants had to exchange their ideas. When the music stopped, we had to discuss with someone the understanding of our idea and “sell” our product. Then, we had to select and vote for our favourite idea. 13 projects were shortlisted. Every participant had to choose the project they wanted to contribute to. Herbert and Samson (who were members of the winning team): Saturday morning, we were asked to find the central user research question. 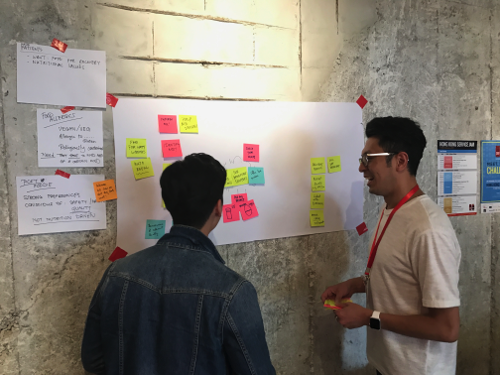 For our team, it was: “How might we personalize our diet and nutrition needs in a restaurant experience?” Then we went outside and interviewed people in the street to capture as much as data as we could. 4/ What kind of feedback did you manage to capture from people? Herbert: Here is a bunch of answers we collected: “I don’t really care about the nutritional value, or the price, or if it is tasty or not, or if it is a clean place”. We were surprised, but usually, people seem to eat healthy only when at home. On the top of that, most of them said they often skipped their breakfast or their lunch time meal because of their busy schedules. Samson: After analysing our first round of data, we realized that we did not get anything relevant. Then we had further discussions with the team and with the facilitators to still deliver the design. One of the team members even played the role of “super hater”. We finally decided to focus on bringing health to people at the workplace. 5/ Your team won this hackaton. Can you tell us more about the service you imagined? Herbert: We designed the “Hello Box”, which is a healthy, balanced and yummy meal with a little tailor-made extra in it, depending on the company and its concerns (it can be a message, some innovation gaming material like Legos or cards, or some instructions to facilitate meetings or workshops). This box mainly targets team leaders, executives or managers: they can order it to make their Monday meetings more joyful, for example! Samson: Over several hours, we tried to reframe the solutions in order to improve it, as it perfectly matched the users’ needs. Fortunately, we were helped by the HK Service Jam mentors in this. We asked them to rate the solution and to give us their feedback on it. Eventually, we designed some slides to present our project. The jury selected ours as the most innovative and added-value solution. There were 13 projects, so we are really happy to win! By the way, we won tickets for the UX Hong Kong conference! 6/ How was the Service Jam programme any different from the previous events you’ve attended? Samson: The format (48-hour hackathon) is much longer, so you got a lot to do… but you learn more! We even did meditation and yoga. I had a lot of fun! I really loved this event because it mixed workshops and presentation. 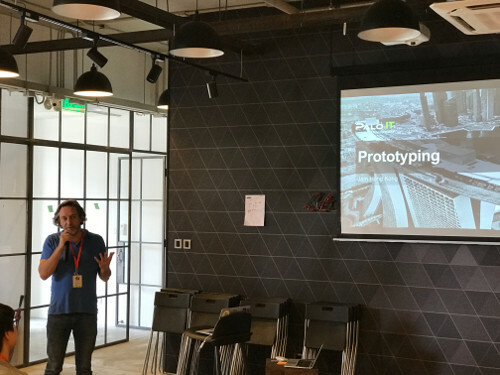 For example, Cedric Mainguy, Head of Innovation at Palo IT Singapore, conducted a talk on “Prototyping”. And there was also a User Research talk conducted by Louise SCHENK, Service Designer at MAKE Studio. Herbert: It was my first time to attend a workshop related to service design. It was interactive and fun. I experienced a new way to gather information from the users through face–to-face interviews and phone calls. It was quite challenging to improve ideas in a very short time! Marivi: The whole experience was really challenging and yet fulfilling! Everyone was happy and excited about the new experience we gained. Materials provided were amazing. And the venue was great! 7/ What were some of your key takeaways from the conference? Samson: Get a “superhater” in your team! He will give you more insights than a “superfan” about your product. Sticking with the initial idea might not be a bad idea if you have a “superhater” in your team. By the way: don’t skip your breakfast! Herbert: Understanding of the service design itself. It is quite similar to the Agile mindset because it embraces fail fast and learn fast. It is great to ideate and fun! Marivi: Never be afraid of giving your ideas, nor interviewing people! It is OK to fail! Thanks to the feedback of the people you are able to improve continuously. It enables you to narrow your ideas and focus on the goal set. 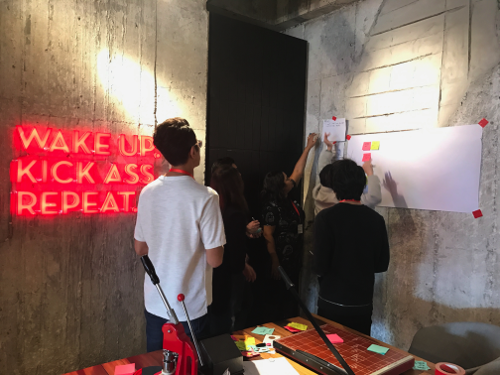 This conference gave me some tips on how to be creative and liberate myself, as well as how to identify painpoints and solve them it in a diverse team.